including Steve Inglima, Clay Blackmore, Gregory Heisler, Eddie Tapp and Joyce Tenneson. From the 743 photos submitted, 53 were selected for the gallery, in which I had 2 images in the top 10. Wonderful image. Impressive shapes, colors and textures. Nice shot! Well seen. V.
Terrific water shot. A great image!! Really like this shot - like best your abstracts. Amazing work and wonderful colors. V.
Your framing is perfect, what a great photo!!! Another beautiful image in this gallery - the colors give this an unique perspective. 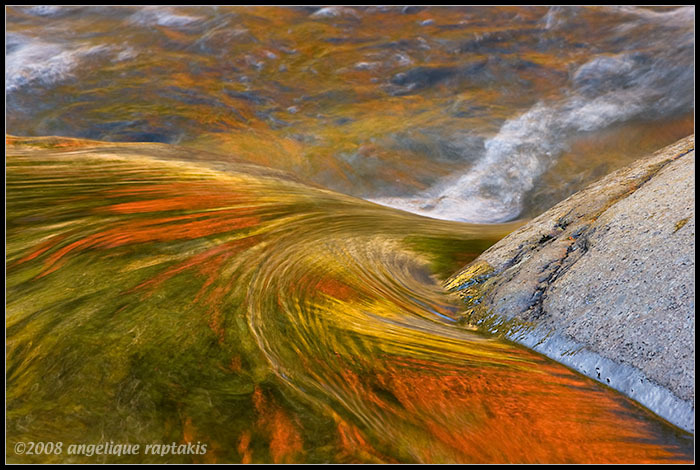 A magical flow of water and colors... beautiful! Simple and effective. I love it!